According to the National Kidney Foundation, Chronic kidney disease affects more than 30 million Americans And is also responsible for killing more people than breast cancer and prostate cancer alone. Sadly, chronic kidney disease is actually the 9th leading cause of death in America and continues to increase every year. There are two main causes of chronic kidney disease, which are diabetes and high blood pressure. 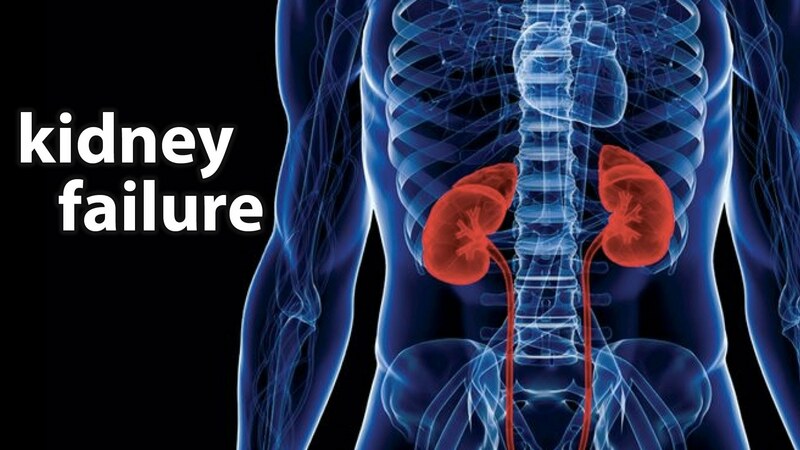 Chronic kidney disease occurs when your kidneys are severely damaged, and they tend to lose their ability to function properly and keep you healthy. Surprisingly, many people who have chronic kidney disease do not even experience any symptoms in the beginning. They only discover that they are ill with chronic kidney disease once their condition gets worse, such as when the waste in their body continue to build up and make them feel sick. Some of the serious health conditions that can develop from chronic kidney disease include: high blood pressure, anemia, weakness, nerve damage and poor nutritional health. If you have experienced possible symptoms of kidney disease, it is critical that you seek medical attention to receive the appropriate treatment for your condition. According to the NIDDK, in the United States, there are more than 600,000 Americans who currently have kidney failure. Out of these people who are currently experiencing kidney failure, there are about 400,000 on dialysis and there are another 190,000 or more who are currently living with a kidney transplant. It is very unfortunate that many people are forced to receive extreme treatment for their kidney conditions. Kidney conditions can happen to anyone and there really are no symptoms in the beginning for discovering a kidney disease. It is critical to make sure that you are always taking care of your health whenever you are suspicious of possible symptoms of a health condition. When you are able to stay aware of possible medical conditions, you were able to possibly catch these diseases early and receive the treatment that you need to heal properly. Some of the symptoms of kidney disease include the following: fatigue, feeling cold when others are warm, shortness of breath, dizzy or weak, trouble thinking clearly, feeling itchy, swelling in the hands or feet, swollen or puffy face, food tasting like metal, ammonia breath, upset stomach and vomiting, feeling of having to urinate often, foamy urine and brown red or purple urine. There are many people around the country who continue to experience symptoms and ignore it. If you are currently experiencing symptoms of a possible kidney issue, do not hesitate on getting medical attention. Take time to get help from your doctor to discovering whether or not you have kidney failure. Early treatment is necessary in increasing your chance of survival and living a successful life. You can search for more information about kidney failure by searching the web for a kidney failure treatment. Kidney failure can be extremely traumatizing to anyone facing it. Make sure that you have a support system by your side to get through the process of treatment. Once you are able to receive the treatment that you need, you were able to focus on healing and moving on with your life.